The Rajasthan chief minister ridiculed the Congress saying its various leaders have already become chief ministers and started forming their cabinets even before the state assembly elections. Terming Congress as a “divided house”, Rajasthan Chief Minister Vasundhara Raje Sunday exuded confidence that the BJP would form the next government both in the Centre and the state. The chief minister ridiculed the Congress saying its various leaders have already become chief ministers and started forming their cabinets even before the state assembly elections. “The BJP has the unity and uniformity while the Congress has several faces and is a divided house. Various Congress leaders have already become chief ministers and formed their cabinets even before the elections but the BJP workers would clear their misunderstanding in the upcoming assembly elections,” she said. 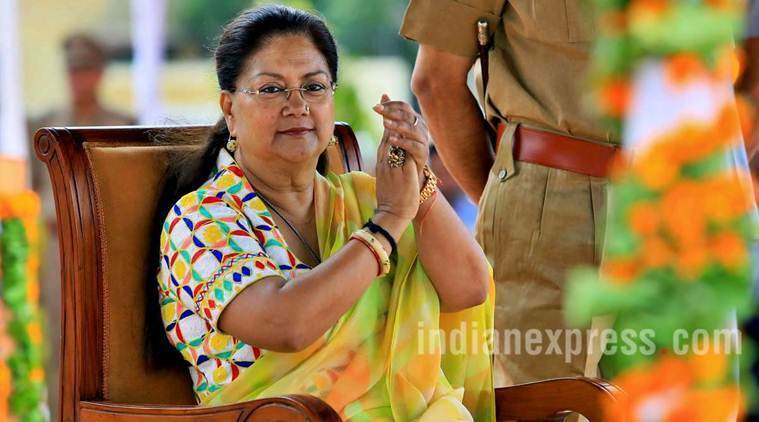 Raje made the remarks Sunday during a meeting of the party workers at Ranakpur in Pali district. The meeting was attended by the BJP workers from 31 assembly constituencies, including those from Bikaner, Churu, Hanumangarh, Jodhpur and Sriganganagar. The workers submitted to the chief minister their written suggestions in sealed envelopes. Raje said the workers have the right to claim tickets from the party, but their targets should be to ensure that “lotus” blooms in the state again. The chief minister also sought to ridicule the Congress’ “optimism” over the tradition of the state having the BJP and the Congress governments alternatively since 1990 and said had it been so, the Congress would not have ruled the state for 50 years. Raje exuded confidence that her party will form governments both in the state and the Centre under the leadership of Prime Minister Narendra Modi and BJP chief Amit Shah. The chief minister said under the fears of losing the upcoming state assembly elections, the Congress had moved the Supreme Court alleging the existence of fake voters in the state electoral rolls, but their plea was quashed by the apex court.